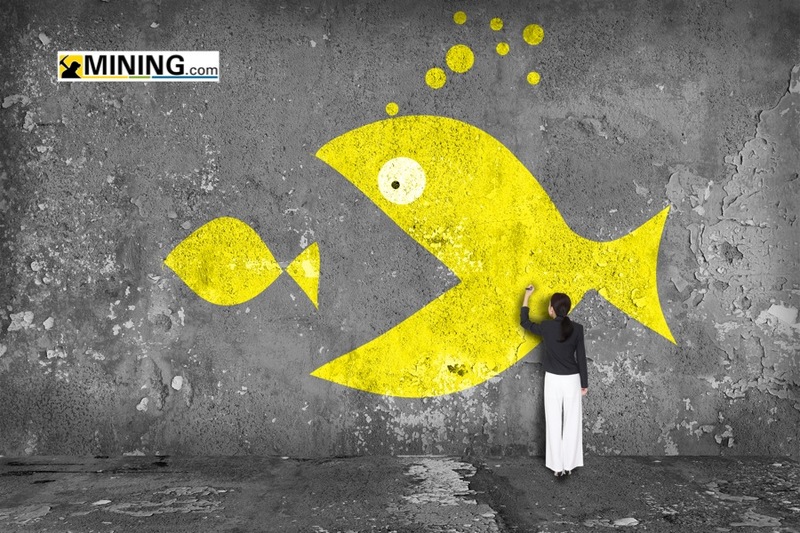 Mining and metals companies across the world made fewer deals, but analysts such as EY and Grant Thornton International, believe a “near-perfect alignment of factors” will herald a new era in mining merger and acquisitions in 2015. According to EY’s latest Capital Confidence Barometer about 46% of the companies interviewed expect to pursue an acquisition in the next 12 months, nearly double that six months ago and the highest level in two years. Grant Thornton, in turn, recently surveyed over 250 senior mining executives globally and 32% of respondents from major miners said their company was likely to make an acquisition, while 27% believed they would either be sold or undergo a partial sale. Evidence supporting these predictions abound. This year alone, the dramatic slump in commodity prices, particularly gold, iron ore and coal, pushed a few cash-strapped miners to seek cost synergies. After a long-dragged battle with hostile bidder Goldcorp (TSX:G) (NYSE:GG), fellow gold miner Osisko Mining (TSX:OSK) agreed to a friendly $3.9 billion takeover deal from miners Yamana (TSX:YRI) and Agnico Eagle (TSX:AEM). 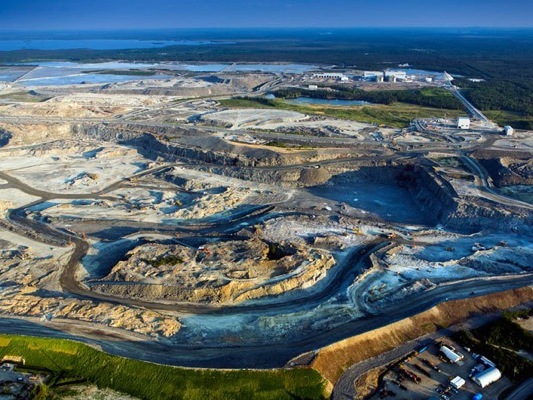 Osiko's Malartic mine, in Quebec, one of the most coveted assets of 2014. Taseko Mines (TSX:TKO) (NYSE MTK:TGB) bought fellow Canadian mineral exploration and development company Curis Resources (TSX:CUV) in an all-share deal that guarantees Taseko access to an advanced-stage copper project in central Arizona. In November Osisko Gold Royalties (TSX:OR) agreed to buy gold explorer Virginia Mines (TSX:VGQ) for about $424 million, which will allow them to profit from royalties coming from two gold mines in Quebec: Canadian Malartic and Éléonore. Fresh from the oven, this deal — the last of 2014 — saw the U.S. largest silver producer Coeur Mining (NYSE:CDE) absorbing Paramount Gold and Silver Corp. (TSX:PZG) in an all-stock transaction valued at $146 million, as it seeks to expand its mining footprint in Mexico. Despite ongoing rumours, there was no “Glentinto” born this year, as Rio revealed it had rejected a merger approach from the giant commodity trader’s takeover bid in July. Rio Tinto’s chief executive Sam Walsh, however, said earlier this month he remains “open to selling some assets” if the right buyer comes along. Better luck next time, Ivan. The two largest gold miners by output, Barrick Gold (TSX:ABX)(NYSE:ABX) and Newmont Mining Corporation (NYSE:NEM), attempted once again (they have tried three times in the past seven years) to merge their businesses. Talks broke down late April, however, as the two miners were unable to agree on small details of the deal. But analysts believe as cost synergies become even more important for the two miners next year, a merger may actually materialize. Private equity venture X2, led by Mick Davis — one of the most successful mining bosses during the past decade —raised this year $4.8bn of equity commitments and it is said to have considered a deal for assets being spun out of BHP Billiton (ASX:BHP) as well as some of Anglo’s (LON:AAL) assets including copper mines in Chile, Brazilian nickel mines and a few coal operations. Did we miss a good one? Please let us know in the comments section.